Forex Training India | Forex Informations India | Forex Brokers India | Currency Training India |: FXCM to Acquire Japanese Forex Broker Foreland Forex Co., Ltd.
FXCM to Acquire Japanese Forex Broker Foreland Forex Co., Ltd.
NEW YORK, Sep 14, 2011 (BUSINESS WIRE) -- FXCM Inc. FXCM -2.75% , a leading online provider of foreign exchange, ("FX"), trading and related services worldwide, today announced that its subsidiary FXCM Japan Securities Co., Ltd. ("FXCM Japan") has agreed on terms to acquire Japanese FX broker Foreland Forex Co., Ltd. ("Foreland"), subject to certain adjustments. The agreement is subject to final documentation and is anticipated to be completed in the first half of October. Foreland is one of the oldest and most established Japanese FX brokers, offering retail FX trading since 2001. They have established a reputation for offering attractive swap points, competitive spreads, and aiming to expand a customer's trading life by offering market commentary and analysis, education and trading tools. As of September 1, 2011 Foreland had over 18,500 tradable accounts* with client equity of over $190 million. When combined with FXCM Japan's over 25,700 tradable accounts* and over $159 million in client equity, the result is one of the largest retail FX brokers in Japan. Commenting on the acquisition, Drew Niv, CEO of FXCM, said, "FXCM Japan is gaining critical mass in Japan, the world's largest retail FX market, and a region we continue to be bullish on." The proposed transaction, Niv added, "is another example of our disciplined acquisition approach. After closing, we look to see immediate payoff from growth in client equity and increased brand recognition in Japan." Niv continued, "This merger positions FXCM Japan to be one of the largest retail FX brokers in the Japanese market, where we continue to grow in size, but more importantly continue to strive to bring the top product to Japanese traders." Adding, "Foreland targeted a very different customer base than we normally do and this adds worth to the acquisition because it diversifies our holdings." As with FXCM's acquisition earlier this year of the retail FX business of GCI Capital, FXCM believes this deal was attractive from a value standpoint. With the completion of major regulatory changes, FXCM believes that the Japanese market is particularly attractive with large numbers of retail FX clients who maintain longer relationships with their brokers than other global markets. FXCM Japan offers clients the benefit of FXCM's large network of forex liquidity providers enabling FXCM to offer competitive spreads on major currency pairs on our flagship and award winning platform FXCM Trading Station. Clients are be able to trade oil, gold, silver and stock indices along with forex. Additional advantages include mobile trading, one-click order execution and trading from real-time charts. FXCM offers clients the ability to place stops and limits freely and allow traders to customize them for every ticket. 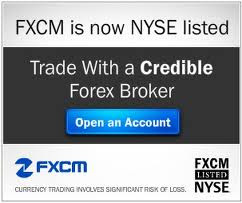 FXCM supplies over 600 custom indicators and permits clients the ability to build their own. If you want to earn profit from equity market, then you should hire a professional advisor who can provide you accurate Intraday Stock Tips. The given advice for share market is very necessary for the traders and the Stock tips provided in this blog are very helpful.